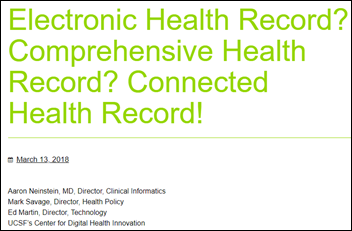 Interoperability is not and must not be defined by being able to pick up and move a giant digital stack of records from one hospital system to another, with the hope that the patient’s various providers will all be able to accumulate everything, like a cartoon snowball rolling downhill … interoperability is a national priority precisely because no single vendor EHR system is comprehensive… Given this, we say “connected health record,” not comprehensive health record, and we are not alone … a chorus of physicians and patients is crying out that EHR systems are already cumbersome and inefficient. 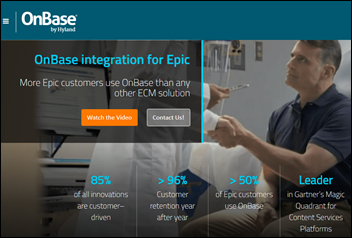 Imagine how much worse this might become if EHR systems grow and grow to accommodate new use cases … technological advances have led other industries to adopt an API-based model, in which modules, devices, and software from different vendors can easily connect. That way, each vendor can focus on what it does best, and the user can benefit from an ecosystem of technology and software that work seamlessly together. From Jorge DiSelva: “Re: Cerner’s revenue mix. Did you notice how far it has swung from license fees to services? Pretty amazing.” It is indeed amazing. Annual revenue has nearly doubled in the past five years and 43 percent of software revenue is now coming from subscriptions. 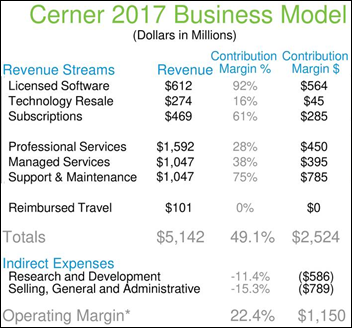 Services revenue is also huge at 72 percent of the $5 billion total, with 62 percent of Cerner’s annual revenue being recurring. Companies have chased the subscription-based revenue model with varying degrees of success to try to smooth out revenue swings due to the timing of contract signings, but Cerner has delivered. Customers could theoretically displace its products more easily under the subscription model, but few will do so given the lack of alternatives and the effort they expended to implement them in the first place. Investors aren’t loving everything about Cerner, though – the health IT market is changing pretty quickly, the company’s margins have slipped a bit, the VA deal hasn’t yet played out as expected, and the new CEO is an unknown factor. CERN shares are up 16 percent in the past year, which sounds great except that just investing that the Nasdaq composite would have yielded nearly double that. From Math Challenged: “Re: HIMSS conference combo deal. They tweeted that a combo pass for HIMSS19 and Health 2.0 is a ‘2 for 1 Deal … for the price of 1 ticket.’ Not so – the website says the combo for HIMSS members is $1,799.” I don’t understand that claim either. The HIMSS early bird registration rate for members was $795 this year, so that means you’re paying $1,034 for Health 2.0 instead of its early bird price of $1,199, which isn’t much of a deal. From Old Timer: “Re: open position at BIDMC. Is John Halamka leaving?” The job posting is for CIO of just the physician group from what I can tell. Welcome to new HIStalk Platinum Sponsor Hyland Software. The company combines information management and enterprise medical imaging with business process and case management capabilities to deliver a suite of unparalleled content and image management solutions to address the clinical, financial, and operational needs of healthcare organizations around the world. More than 2,000 healthcare organizations use Hyland Healthcare’s world-class solutions every day to become more agile, efficient, and effective. The product suite – Acuo by Hyland, Brainware by Hyland, NilRead, OnBase by Hyland, PACSgear, Perceptive Content, and ShareBase by Hyland – helps complete patient records, eliminate reimbursement delays, and enhance business processes. Hyland Healthcare is a part of Hyland, a leader in providing software solutions for managing content, processes, and cases for organizations across the globe. 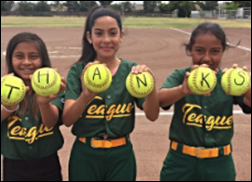 Thanks to Hyland Healthcare for supporting HIStalk. Cognizant will acquire Louisville, KY-based RCM services vendor Bolder Healthcare Solutions, adding to its previous health IT-related acquisitions TMG Health and TriZetto. Greenway Health will close its Lake Mary, FL office in late April and lay off 27 employees who work there. 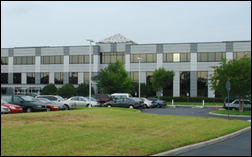 The company had previously announced the closure of that office as well as those in Atlanta and Birmingham as it consolidates operations in Tampa, FL. The White House kills Broadcom’s hostile takeover of Qualcomm, meaning that Capsule Tech will remain a Qualcomm subsidiary. Thanks to reader Dr. Trump, who reminded me of the healthcare IT connection. Qualcomm acquired medical device integration vendor Capsule Technologie in September 2015. 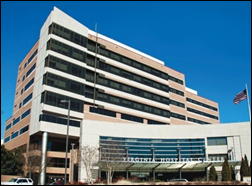 Virginia Hospital Center (VA) will implement the Spok Care Connect unified communication platform. Former HIMSS President and CEO Steve Lieber joins association software vendor Next Wave Connect as executive advisor. Advocate Health Care SVP/CIO Bobbie Byrne, MD is named CIO for Advocate Aurora Health once the Advocate-Aurora merger is completed in the next few weeks. Aurora CIO Preston Simons will “retire.” The CEOs of each health system will serve as co-CEOs of the merged organization, which never works even though it gets the deal signed in bypassing egos. I question the focus of a company that doesn’t have enough decisiveness to put one person in charge, although the co-CEO arrangement is usually abandoned fairly quickly anyway. Collective Medical promotes Andrew Reeve to SVP of sales. Influence Health promotes Mike Oakman to COO. GetWellNetwork adds Healthwise’s patient education video library to its patient experience platform. Medable announces Insight, a blockchain-powered medical data exchange platform for research studies. The company offers tools for building secure data-related applications, analytics, alerts, and data visualization. It claims that researchers can develop a clinical study app in one day. 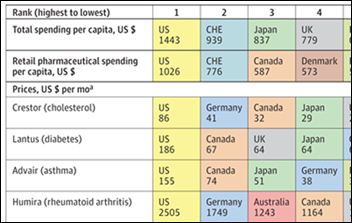 CompuGroup Medical launches a project to create new ambulatory products for several countries, with the US at its center. The core product can be customized to individual markets but will share a code base, tools, and processes. DirectTrust’s board calls for nominations for new board directors and for the CEO position being vacated by David Kibbe, MD, MBA at the end of the year. Datica launches a Kubernetes-enabled version of its security and compliance technology that will allow AWS and Microsoft Azure users to deploy Datica’s platform on their own cloud accounts. Media reports suggest that President Trump is considering replacing VA Secretary David Shulkin with Energy Secretary Rick Perry, who is a former Texas governor and Air Force captain and pilot. 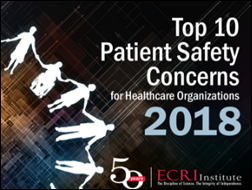 ECRI focuses on diagnostic errors in its top 10 patient safety issues for 2018, with “incorporating health IT into patient safety programs” being the only pure IT item on the list. FYI: the latest update to the Chrome browser adds the desperately-needed option to permanently mute a site, preventing the heart-stopping racket that some sites create with auto-play video (CNN and local TV station sites are the worst offenders). 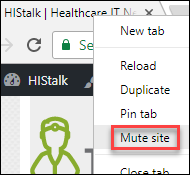 Right-click a tab and the “mute site” option appears. Epic’s Judy Faulkner tells Politico that the company won’t challenge the VA’s single-source Cerner contract choice (“we feel it’s the customer’s right to pick whatever they want”), but she estimates that Epic would have charged at least $3 billion less than Cerner and would offer more interoperability with providers who see veterans that seek care outside the VA system. 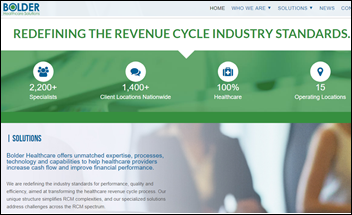 Formativ Health announces a patient engagement solution for Salesforce Health Cloud. Meditech will exhibit at the Texas Organization of Rural & Community Hospitals (TORCH) 2018 Conference in Dallas April 10-12. CareSync publishes a new report on chronic care management for rural health clinics and FQHC practices. Carevive will present and exhibit at the ACCC Annual Meeting and Cancer Center Business Summit March 14-16 in Washington, DC. Software Advice includes ChartLogic in its list of frontrunners in the EHR software market. Ellkay joins the CommonWell Health Alliance. Healthfinch receives an Innovation Award from Athenahealth for its Charlie Practice Automation Platform. Healthwise announces new health educational content partnerships with TeleHealth Services, and Mytonomy. InterSystems and Rhode Island Quality Institute deliver designee alerts for patient empowerment. Clinical Architecture CEO Charlie Harp discusses interoperability on CommonWell TV. UCSF commentary which is supportive of APIs is perfectly fine. What remain naive about is that in order for a health record system (no matter what you call it) to function properly and beneficially, it needs to gather as much information as is possibly available in order to make the best machine predictions and decision support recommendations. It’s very much en vogue to simply say API over and over again, but the fact remains – at some magical moment in time, you need as much data as relevant to the situation in order to make the best decision possible. APIs don’t actually accomplish that in general, and in the contrived example where one might try, you’d have the slowest computer system known to man. Chrome mute site. Wow, I didn’t know that. Thanks for the tip.